Happy Idaho Wine Month, Coiled Followers! 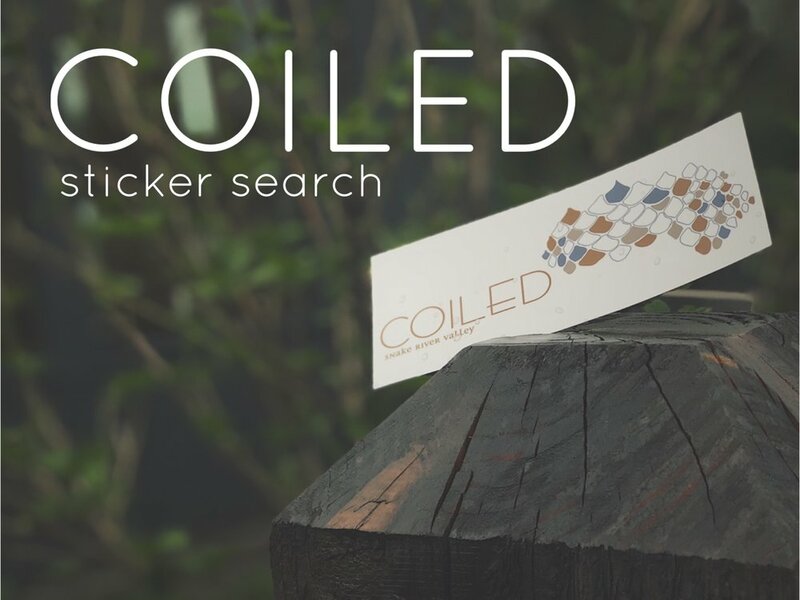 · Coiled Sticker Search is ON for the month of June. We are hiding 30 Coiled stickers around town at a few of our favorite businesses. Find one, snap a pic, tag us and the business you found it at on Facebook or Instagram, and bring in the sticker to redeem a free glass on us at either location! · Coiled wines will be available at Garden Cinema at the Idaho Botanical Garden. Join us on Friday, June 1, at 8pm for the first feature , Alice in Wonderland. · Check out Cultivating Love this Thursday, May 31, at the Idaho Botanical Garden from 6-9pm. Coiled will be celebrating all the love with 2 bars at this event. · Alive After Five kicks off Wednesday, June 6! Come pre-funk at Coiled or cool down with a slushy after the show! · First Thursday will feature a new artist and cupcakes in the downtown spot. See below for more details. 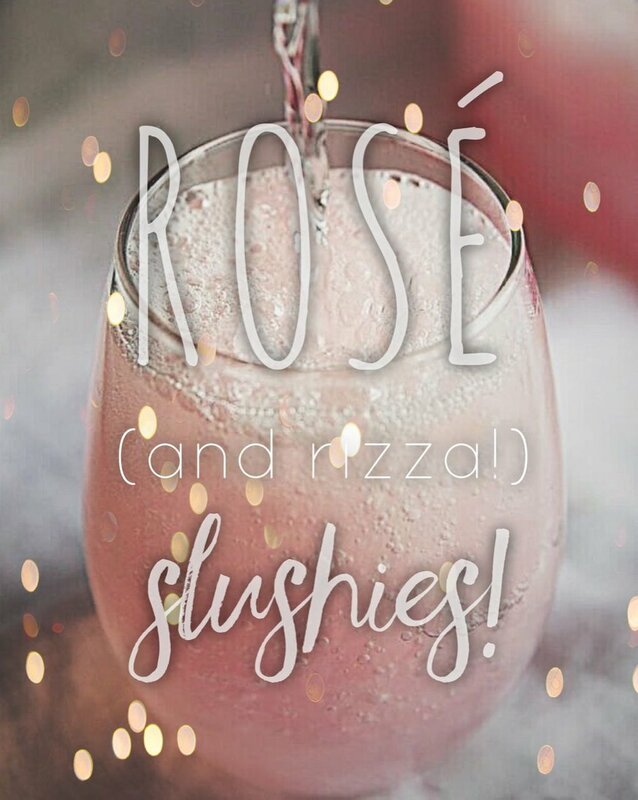 · Slushies! The people have spoken—and Slushies are here starting June 2. The slushy machine will be downtown on Tuesdays-Saturdays. And, because you can never have too much of a good thing, join us for Slushy Sundays at the tasting room in Garden City! · Coiled will be open for Father's Day in Garden City, and we will be doing Brunch with Brig featuring Crisp! Bring your dad in for breakfast, and all fathers get a free tasting. Stop by and enjoy the beautiful patio. · Market Winemaker's Luncheon! Come hang with Leslie, Chef Aaron, and the Coiled crew in our downtown spot on Saturday, June 16, at noon. Limited seating. More details below. · Pride Festival June 15-16. Show your support and get $2 off your first glass. · Bingo Break. We will have one final bingo night in June, then we are taking a summer break until September. · Petit Sirah is almost gone so get yours soon! We have about a case left in each location. · Not in Club? Sign up and get guaranteed access to Coiled's wines—especially those that sell out quickly. Reach out to ME to sign up! PS: Many thanks to all for coming to the anniversary party! We had a BLAST! Coiled is "hiding" 30 stickers at some of our favorite businesses around town. Find one, snap a pic, tag Coiled and the business you found it at through Instagram or Facebook, and bring it in for a free glass of wine at either of our locations. Stickers will be redeemable until found or the end of the month. Happy searching! We are welcoming artist Karen Eastman for the month of June in the downtown spot. Karen will be present for a "meet the artist" experience on First Thursday, June 7, from 5-9 pm. In addition, Figgy Bakery will be joining us for a small pop-up shop with her paired pastries. "Figgy is a local artisan pop-up bakery shop that specializes in using all natural, fresh and whole food ingredients, creating everything hand crafted from scratch. Our pastries, deserts and gourmet baked goods aim to be beautiful in every sense, from the inside out. We happily cater, and welcome creative custom orders." We will be open for Father's Day at Coiled in Garden City. We’re doing Brunch with Brig, featuring Crisp. Bring your dad in for breakfast, or stop by and enjoy the beautiful patio. All dads get a free tasting. Brunch from 10am-1pm or until it's gone! Come hang with Leslie, Chef Aaron, and the Coiled crew in our downtown spot for a very special Idaho Wine Month meal. Aaron will be procuring farm fresh ingredients straight from the market. The people have spoken! Slushies are here starting June 2! The slushy machine will be downtown Tuesdays-Saturdays. And, you can join us for Slushy Sundays at the tasting room in Garden City! Join us for Bingo Night Downtown! Have your EVENTS with us! 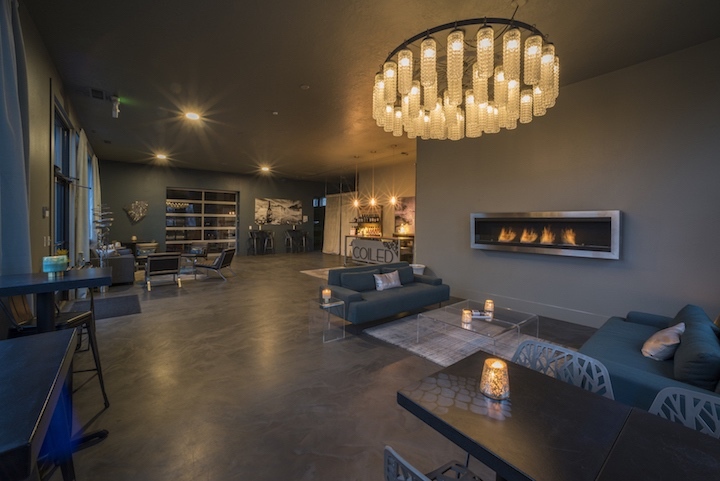 Both the Coiled Wine Bar and Tasting Room can be rented for your special event. Contact info@coiledwines.com for further information. In addition, we are able to handle larger private groups during regular hours. But, we do ask that you please notify us in advance for parties of 10 or more. Petit Sirah is Almost Gone! Stop by either location to buy some more before we say goodbye to the 2015 vintage. Did you hear Kelly’s whip crack? We have a lot going on in June so I am writing a bit earlier than usual. You don’t mess with Kelly. We just spent a great Memorial Day weekend with Ross’ family and now it is time to get back on track so I am ready for summer break. Even though balancing work and family can be challenging as a winemaker, my career does afford me a lot of time to spend with the kids while they are on break. I do have a bottling trip to Walla Walla at the end of the month, and Rizza still needs to be disgorged in Oregon (the lovely lady is taking her time getting through her second fermentation, so our scheduled trip had to be postponed). I will also have trips to the vineyard, but that can’t really be called work, and I can take the kids with me on those. All in all, we are set for a great summer. As many of you know, June is Idaho Wine Month. We will be rolling out some fun twists to celebrate our industry. Unfortunately, Ross and I will not be at Savor Idaho this year. I think it is such an important event to attend, but my uncle who now lives in Australia, will be making a final trip to the states to visit family. Kelly and Meredith will be there to pour and chat you up. I have attended every Savor Idaho since 2009. Our industry has developed so much since then, but we have to acknowledge that our “forefathers” have been at it for many generations. Thank you to Greg and Kristen Koenig, Ron and Mary Bitner, Bill and Mui Stowe, Steve and Leslie Robertson, Brad Pintler, The Williamsons, and Dale Jeffers for paving the path when this industry was an entirely uphill battle. Would you believe that I recently received an email from a master’s student in the enology program at U.C. Davis who is interested in starting her wine career in what she considers to be the most up-and coming industry of the Northwest? I am the first Davis enology master’s student to come to Idaho. I did it because it is home. Now, we are drawing interest because generations have proven the potential. What could be more exciting for all of us? Thank you to those who stood your ground when it was much more difficult. Hopefully, you will come see us this month at the winery or the wine bar and if you time it right, you might get the opportunity to meet our newest family member, Chelsie. I have to admit that I might have hired Chelsie late one night during Tree Fort. Clearly, I was stone sober. The next day, when I shared the news with Kelly, she just looked at me because we really didn’t have a position. I assured her that it had to be because Chelsie was just a natural fit. Long story short, you find the perfect person, and shifts will come. We all adore her and she has really enjoyed meeting many of you. I told Kelly that is how we should make all of our hires and she pulled out her whip. In other winery related news, we were able to celebrate Brigid’s graduation together in the cellar of Red Feather. What a great venue for a private event! We are also getting ready to send Lauren off to Oregon for her wedding. We cannot all attend because we still need to hold down the fort, but Meredith and Brigid will be there to represent Coiled in spirit. All of this life stuff just keeps happening and it blows me away how quickly it goes by. I absolutely love summer because of the relaxed pace it invites. It gives us all a chance to take stock of the whirlwind we experience during the year. As the school year ends, I crave the slower days and lack of structure. Even if you don’t have kids, or they have flown the coop, the disjointed joy of summer is irresistible. Of course, by August I will be pulling my hair out, but I am just enjoying the giddy anticipation of many adventures—sanctioned and unsanctioned— for now. I have enjoyed citing quotes in my newsletters that have caught my heart during the past month. You just never know when someone is going to hear something at the right time and in the right mental space. In the past month, two reader boards have really stood out, and I think they are both great things to think about as we approach summer. It is in Park Center so I am guessing many of you have seen it. That has become a personal joke between me and Kelly, and my goal for summer is to close many of those tabs and focus on two entitled KIDS and REFUELING. That is one to live by in any season, but perhaps easier to practice in the joy-filled days of summer! Close all those unnecessary tabs and enjoy the kind people in your life!